We offer some of the lowest print prices around, beating the high street prices by a wide margin. Research shows that businesses look for quality of service as well as price when deciding on a supplier. We are confident that our low prices and exceptional service cannot be bettered in our market and we are sure that once you order with us, you will use us time and time again. To view printing prices for some of our most popular items such as leaflets and business cards, please click on the links below. 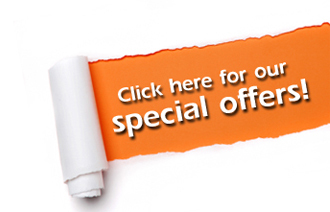 All of the above prices are quoted on the client providing PDF files to our specifications. We can design the artwork to specification if required. Please note, we have a standard turnaround time of 2-3 days for artwork design, depending on the size of the job. Click here for Artwork Prices. All colour proofs will be provided from a digital output facility and are to be used for colour guidance only; not to taken as true and accurate. Unless otherwise stated, all of the above prices are for Litho Printing conventional four-colour process, using standard CMYK. Our standard turnaround time on print is 5 days from signoff of the proof. Delivery is not included in the above prices, see delivery information opposite..
Payment is required in full before all orders go to print, unless you have an agreement with us. Where we are required to design artwork on your behalf, we require artwork payment in advance as a deposit. Once a job has been completed, We operates under a 5.30pm next working day delivery service on goods ready to send prior to 3pm. Please note that this time refers to delivery only and does not include time for print. Most printed items are subject to VAT, and where this is the case, all our prices shown are exclusive of VAT. Some printed items are zero-rated however, such as leaflets and booklets and therefore no VAT will be charged on these items. Please check with us when you place your order and we will confirm whether VAT is to be charged. Our standard artwork prices are below. A minimum deposit of £45 must be paid for in advance. Unless otherwise stated, all prices on our website do not include delivery. Delivery is charged as follows. Prices above do not include VAT which will be charged.